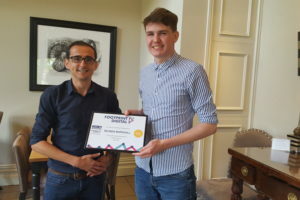 We can’t quite believe that the Footprint Academy has come to an end already! 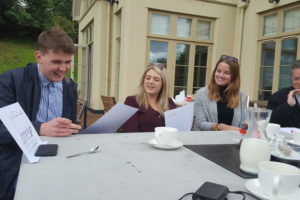 Over the last three months, it’s been such a pleasure to be joined by the interns from the University of Essex, all of whom took on the challenge of jam packed, and sometimes head scratching, sessions extremely enthusiastically. 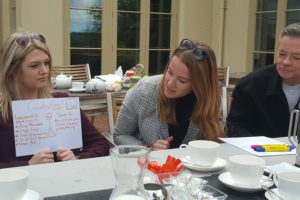 They engaged brilliantly with each session, and came up with some fantastic ideas – a credit to us and to the University! Running these kinds of sessions alongside our everyday work isn’t always easy, but seeing them (hopefully!) enjoy our teaching made it all worthwhile. 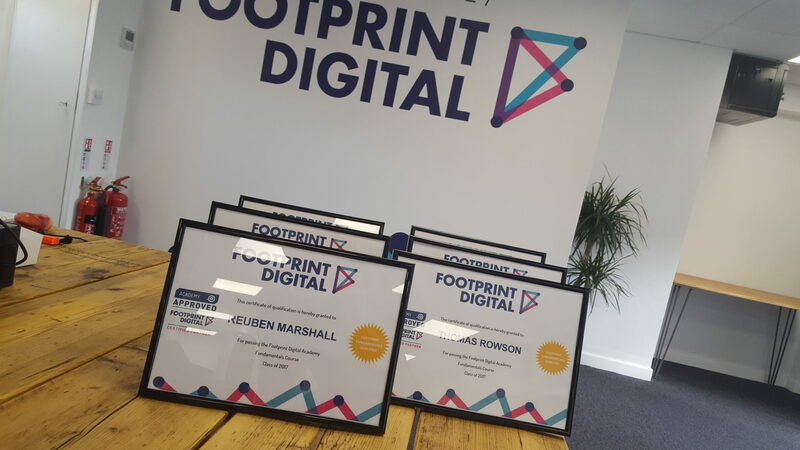 So, from everyone at Footprint, we’d like to say a massive thank you to all of the Footprint Digital Academy interns of 2017! Before our Academy celebrations could get underway, we had the very serious matter of our fifth Apprentice Challenge to deal with. This challenge began with Tom B producing two plastic teapots. 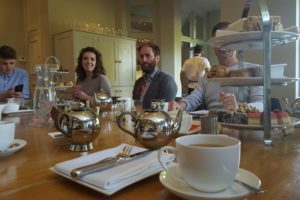 We were quite relieved when we saw the teapots, because some of us had got it into our heads that the challenge would involve running, and teapots meant running was unlikely. 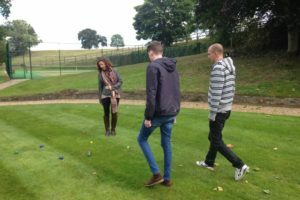 In fact, this was more of an intellectual challenge – much more sedate than the norm! We were tasked with creating a new type of tea to stand apart from the saturated market. 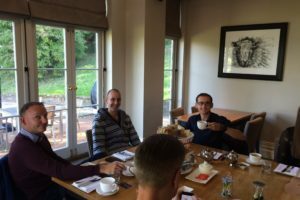 We had to work on packaging, marketing, our target audience, and brewing some of our own tea (which Tom B would bravely drink to judge us on taste). The Hungry Hungry Hippos and Sunbears split into their teams and got cracking. 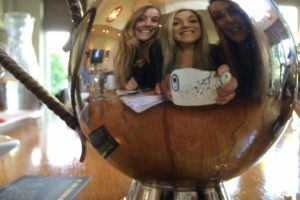 The Hungry Hungry Hippos decided to create a Scandinavian trio of teas called Teaology, designed to be drunk alone or blended together- to create ‘your life’s blend’. 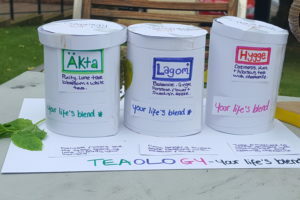 The teas were: Akta – Purity Tea; Lagom – Balancing Tea; and Hygge – Cozy Tea. The team decided that this was a lifestyle brand, for people interested in their wellbeing and mindfulness. 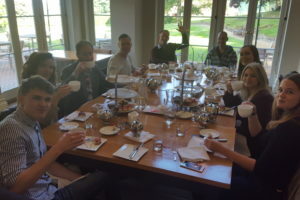 They want to be able to take the time to drink tea with friends, and feel more involved in the tea making process. The team chose stripped back, simple packaging that would be sustainable and recycled to please an eco-conscious market. The Sunbears chose a completely different market – office workers. 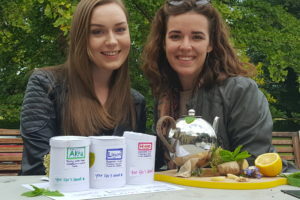 Their concept – T-Livery – involved offices being able to order in boxes of tea, with unique combinations of types of tea to keep everyone in the office happy. The design was created to make sure that no-one ever goes to the kitchen and finds an empty tea caddy (a nightmare that everyone has experienced at one point on their life), and also to make sure that in a small business, workers wouldn’t have to head off to the shop to pick up more tea for the office. 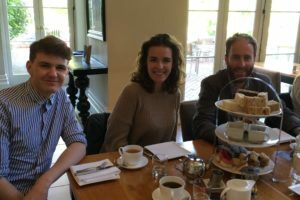 We all thought Tom B had a tough job on his hands judging the two teams – as an office of tea lovers (except for Chris, who thinks we’re all mad for drinking the stuff) we took this challenge seriously! 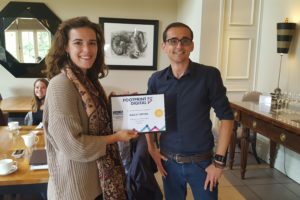 He awarded the point for packaging design to the Hungry Hungry Hippos, the Sunbears won the point for concept, the point for defining a target market was split between the two teams, and so it was all hanging on the final point – for taste. The Sunbears provided the first offering, a bright pink liquid that smelt quite strongly of Rowntree Strawberry Jelly cubes. 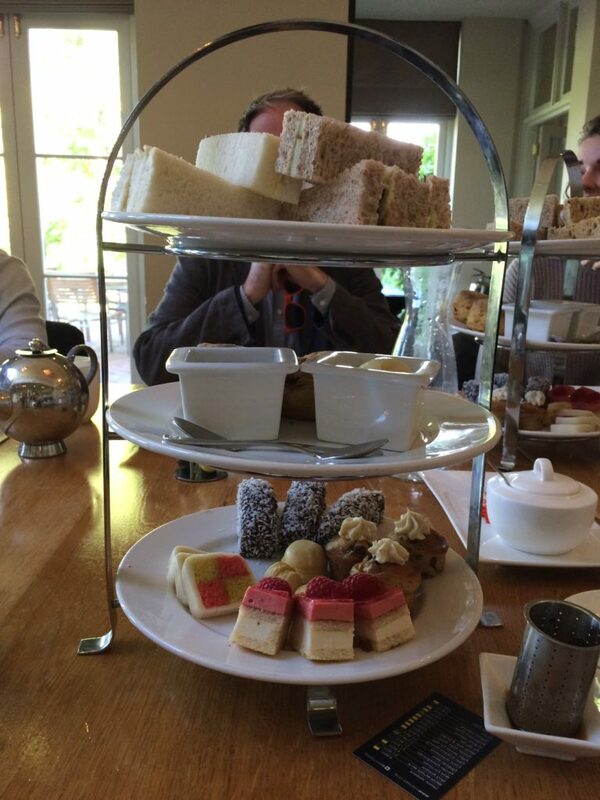 Unfortunately, the jelly-tea wasn’t a massive hit with Tom B (waiting for the judging, it had slightly over-brewed…). Next up, the Hungry Hungry Hippo’s tea – a mix of ginger, lemon, mint (and maybe some nettles?) 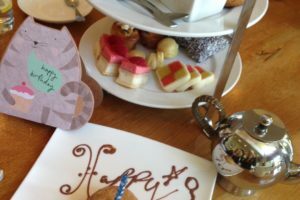 went down much better – probably because next to the pink jelly-tea the lack of flavour from the Hungry Hungry Hippo’s tea was a welcome relief! So, the Hungry Hungry Hippos are once again a point in the lead, with just one challenge remaining this year! 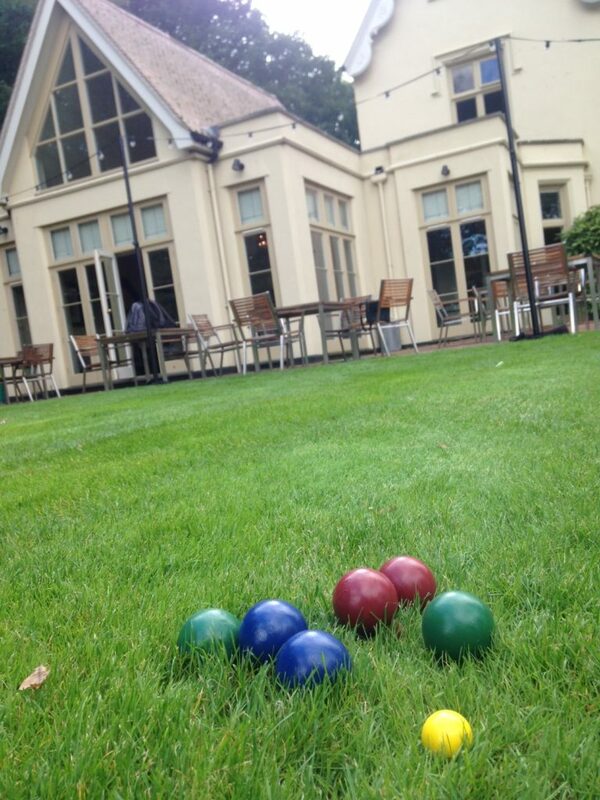 Initially, we were meant to be playing Croquet, but we suffered the slight hiccup of there not being any Croquet supplies when we arrived at the hotel. 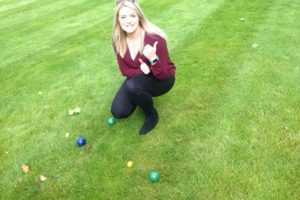 It was James & Chris to the rescue, and they came up trumps with Boules instead – which is a lot easier to understand and play anyway. 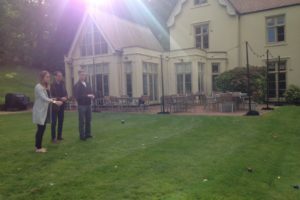 Teams of three played each other on the Maison Talbooth lawns, and then the winners of those teams played each other for the final decider. Chris was the overall winner (well done Chris!) and Caroline won the ‘furthest away’ prize – which is also very commendable. 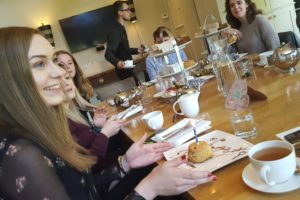 We had a wonderful day celebrating the achievements of this year’s interns – and can’t wait to see who will be joining us in the 2018 Cohort!